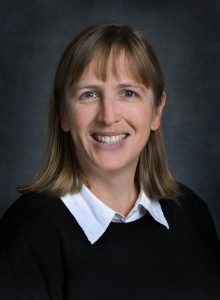 Bio: Ann S. Almgren is an applied mathematician who works as a staff scientist and acting group leader of the Center for Computational Sciences and Engineering at the Lawrence Berkeley National Laboratory. Her research interests involve the computational simulation of problems in astrophysics including the behavior of supernovae and white dwarfs. She earned a bachelor’s degree in physics from Harvard University in 1984 and master’s and doctoral degrees in mechanical engineering from the University of California, Berkeley in 1987 and 1991 respectively. After visiting the Institute for Advanced Study, she joined the applied mathematics group of the Lawrence Livermore National Laboratory in 1992, and moved to the Lawrence Berkeley Lab in 1996.